In Cambodia today, hundreds of thousands of people are being alienated from their homes, farmlands, forests and fisheries as the country’s ruling elites and foreign investors plunder the country for private profit in the name of ‘development’. In rural areas, more than 2.6 million hectares – representing nearly three quarters of Cambodia’s total arable landmass – have been granted to private companies as concessions for the development of agroindustrial plantations. Sugarcane is one of the leading ‘boom crops’ driving the Cambodian land-grabbing frenzy. 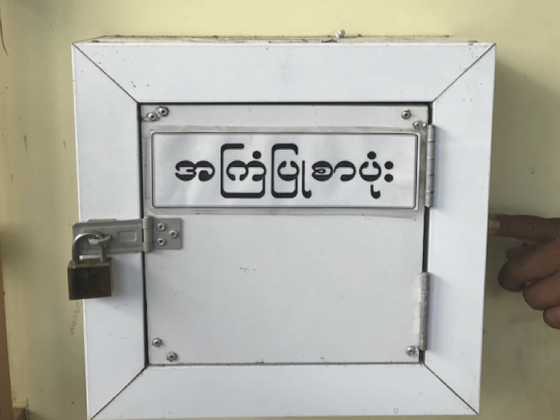 In recent years, there has been a rapid expansion in the Cambodian sugar industry, with at least eight land concessions totaling more than 120,000 hectares being granted to private companies for industrial sugarcane production. IDI and our local partner Equitable Cambodia have documented serious and widespread human rights abuses and environmental damage caused by these companies, affecting thousands of people in four provinces. IDI has joined forces with a coalition of communities and civil society organizations to launch the Clean Sugar Campaign. One of our chief concerns is the European Union’s Everything But Arms (EBA) initiative. EBA is a European trade agreement that allows Cambodia-based firms to export sugar and other goods to the EU without import duties and with a guaranteed minimum price. This agreement is intended to benefit the world’s poorest countries by spurring investment and fostering trade, but in Cambodia the benefits have gone to companies that are actually making people poorer. In September 2013, IDI and Equitable Cambodia published Bittersweet Harvest, a human rights impact assessment of the EBA initiative in Cambodia. 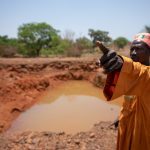 The assessment found that, in the absence of effective human rights safeguards, Cambodia’s policy of granting large-scale land concessions to private investors and the EU’s policy of granting preferential tariffs to spur such investment in least developed countries both carry risks of devastating human rights impacts. 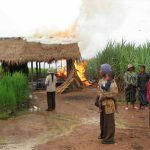 These risks materialized in forced evictions and land seizures that have been part and parcel of the development of Cambodia’s sugar industry. 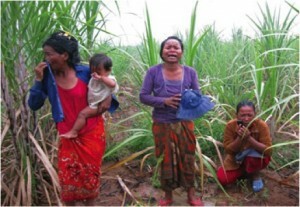 IDI and our coalition partners are calling upon the European Union to investigate serious human rights abuses in connection with Cambodian sugar production, in accordance with the human rights provisions of EU trade regulations, and to reform the EBA scheme to make it compatible with the EU’s international human rights obligations. 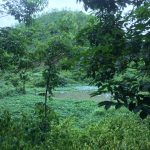 The return of stolen land with title to 374 affected families in Koh Kong province. The divesture of the German investment fund DWS (a subsidiary of Deutsch Bank) from KSL, the Thai company involved in a major sugar operation in Koh Kong province. 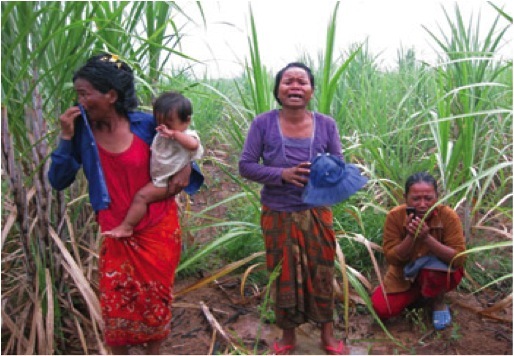 The expulsion of Tate & Lyle Sugars from Bonsucro, the sugarcane multi-stakeholder initiative until it reaches an agreement with the Cambodian farmers displaced by its supplier. A commitment by the Coca-Cola corporation to make sure the sugar it sources is not tainted by land grabs and to use its influence to resolve the Cambodia cases. A commitment by the Cambodian Government and the European Union to undertake a reparations process aimed at identifying, assessing and redressing legitimate claims of displacement impacts and losses resulting from the development of sugarcane plantations in Cambodia.